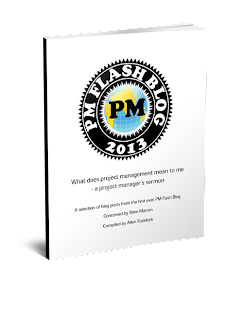 I was honored to find this blog among a list of the "50 Great PM Blogs for 2017"
Among these are a number of blogs that I follow, so I say the list is a good list of stuff to read. But one not listed that I'll add for your list is Critical Uncertainties, authored by Matthew Squair. From down under in Australia, Squair writes eloquently about safety, risk, and failure management in projects and systems. Shared values or power relationships?